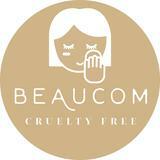 beautycompulsion Sincere & decisive buyer! Fast on payment. Great communication. Smooth and pleasant transaction! Highly recommended! Will love to deal again! @priscillarathi is on Carousell - Follow to stay updated!